High Quality Contracting, Inc. is a licensed and insured new home construction and general contractor with decades of quality craftsmanship experience. We provide home construction services for all of Southeastern Wisconsin. As an accredited member of the Wisconsin Better Business Bureau, you can trust that when you put your home in our hands, you have hired an industry-leading General Contractor. High Quality Contracting takes a comprehensive and creative approach to home building and remodeling. With an expert team of craftsmen, we can build everything from a new home to repairing damaged structures, such as co-ops, condos, lofts, and office build-outs. High Quality Contracting offers you all-inclusive services from pre-construction design and budgeting through the warranty period. High Quality Contracting employes the most exceptional craftsmen to get the job done right. We guarantee and stand behind the quality of our work. High Quality Contracting, Inc. uses only the best products for each project. 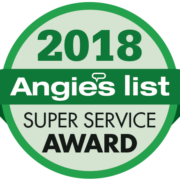 Angie’s List Super Service Winner! Most importantly, our construction company relieves the burdens and pressures associated with new project development while you concentrate on your life. Our history of quality craftsmanship and dedication started in 1999. We have never let a client down. 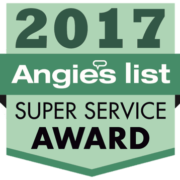 We treat your home with the care and respect that we would our own. Your project is in good hands with us. High Quality Contracting Inc. has been in business for many years. Above all, we do not use mediocre products. We only work with the best construction crew available. We have chosen the most quality conscious tradesman in the industry. After all, you expect your home project to last for many years to come, so we put every effort to make that happen. We are Better Business Bureau accredited with an A+ rating, and we take that honor seriously. The BBB sets the highest ethical standards for businesses, making our A+ rating a proud accomplishment. We believe in being an ethical business, which is why we choose to follow accreditation practices of the BBB. We have many satisfied customers who speak highly of our work. Visit our Testimonials Page to see some of our reviews.